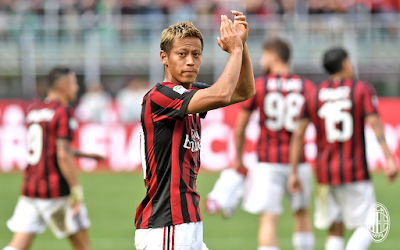 We know it's Honda's last match, but who else? Cagliari are in 13th place, but that could change depending on the results of this weekend. So I guess they have something to play for. Also, if they continue their recent form of L-W-L-W-L, then they are due for a win. Especially after the 6-2 loss to Sasssuolo last week, they’ll be hungry for victory. For that match, Rastelli lined up Rafael; Alves, Pisacane, Murru, Isla, Sau, Padoin, Tachtsidis, Borriello, Farias, and Pedro. Unfortunately, he will be missing a number of players. Ceppitelli, Melchiorri, Dessena, Barella, and Colombo are all injured, with our pal Gabriel also Capuano in question due to fitness issues. Additionally, Sau and Alves are suspended. So Rastelli will have to be creative to put together a starting eleven. Montella is likely to be a little creative again himself, starting a 3-5-2 again. My theory is that he realized the only safe bet when putting Montolivo in the starting eleven is to pack the midfield, kind of like bubble wrap or something. Nevertheless, he’s got some players out as well. Abate, Antonelli, and De Sciglio are definitely out, and Plizzari is injured, while Romagnoli is unlikely to play either due to that same knee injury. Deulofeu is unlikely to play due to a new injury picked up in training. And while Bonaventura has been back in training now for a couple of days, he is unlikely to play at all, let alone start. But having secured sixth place last week, and no chance of moving up or down, the results of this match are merely for pride. Our forever on loan young keeper... where will he be next season? When Cagliari came to the San Siro, we broke their hearts with a late goal. Meanwhile, that horrific keeper swap I complained so much about looks to be ending exactly as I predicted: Gabriel has played exactly three games for Cagliari, making six saves and conceding seven goals. That’s some experience right there. And now he’s injured and can’t even face us in his last game on loan there. Storari has gratefully not played at all for Milan, but there were mentality and discipline issues that coincided with his return, as predicted. Even Donnarumma made more errors and conceded more goals after training next to him. More frighteningly, though, reports just began that he is working on a renewal. (I told you so.) At 40 years old. And having played only ten matches with Milan ever. I hate when my predictions are correct in situations like this. 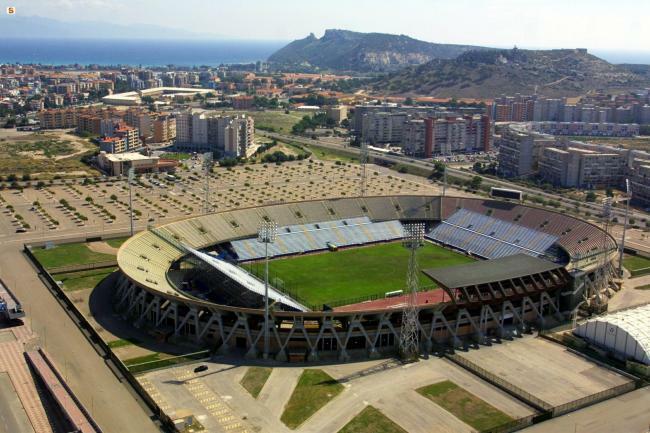 But this match is bittersweet for Cagliari fans, as it is the final competitive match that will be played in the Stadio Sant’Elia. The stadium will be torn down to build a new stadium, so it should be more sweet than bitter. However, just like the final 90 minutes of this season, or even the final match for some players’ Milan careers, this one will truly be a last call. This match will be NOT shown LIVE in the U.S.